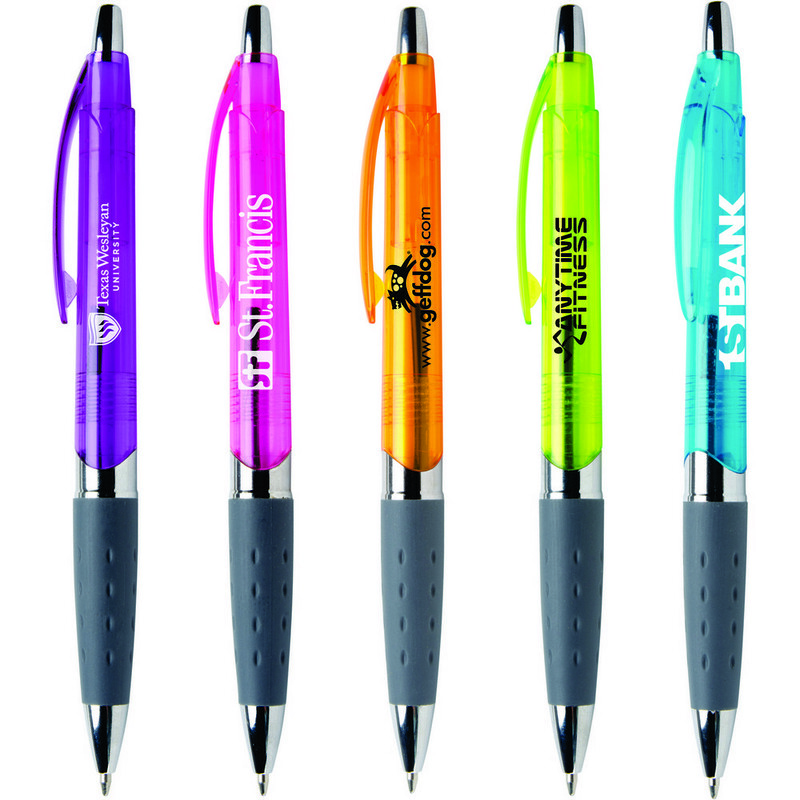 The Torano Pen features attractive barrel color options, Customizable with your logo for Brand Recognition. Write off the competition with an exciting giveaway like the Torano pen! 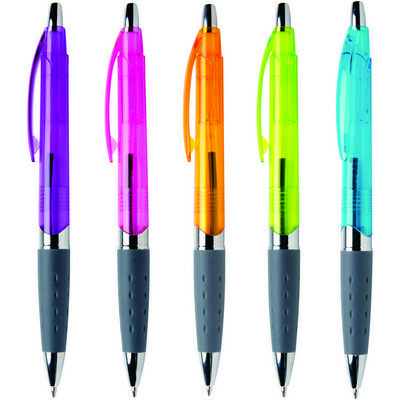 An ideal choice for the next brand promotion, this translucent pen features a vividly colored barrel with a generous imprint area to ensure that your brand impression gets maximum visibility. It has a shining chrome cigar band trim which gives unique appearance to the imprint. A dimpled charcoal gray rubber grip offers comfortable writing experience. Choose from five attractive translucent colors and customize this pen to make your promotional campaign a sure success at any tradeshow or company event.